Customers can choose from heirloom tomatoes, fruits, and vegetables—many typically not available from the grocery store. 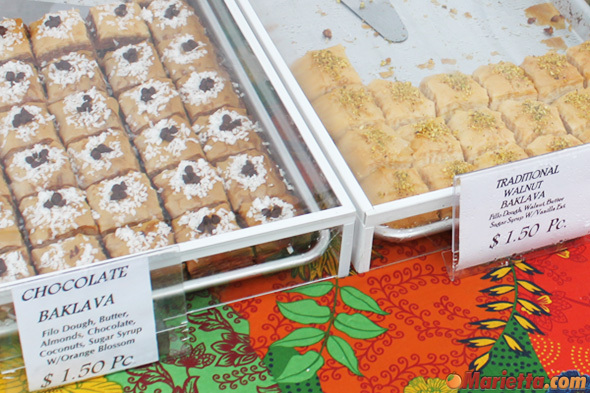 In addition to everyday food staples, like potatoes, onions, squash, beans etc., this popular outdoor market also features a wide assortment of cut flower arrangements, local honey, herbal soaps, salsas, whole grain breads, fruit pies, jelly, jam, and preserves. Put on an ol’-fashioned wide-brimmed southern-style hat and bring a basket to tote home the makings for several local produce-themed meals, or pick up just a few nutritious, fresh, and tasty items to have on hand for the week. 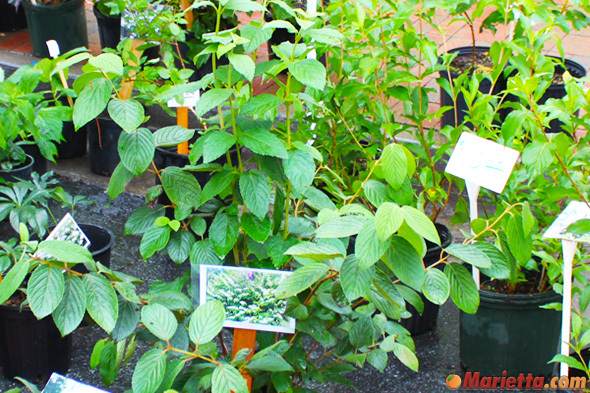 Ambitious “green-thumbed” customers can also choose from a varied selection of garden plants and culinary herbs for growing in their own yards and home gardens. 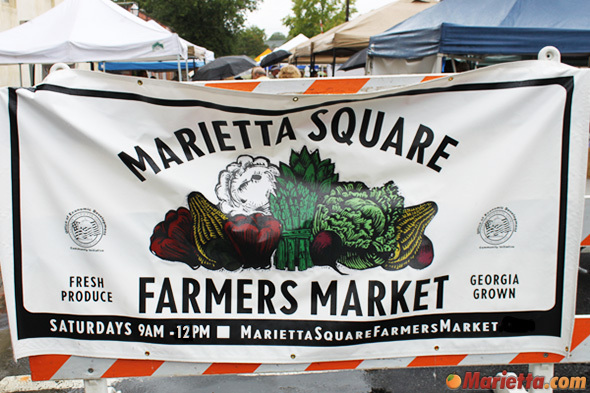 On Sundays from May through October, the Marietta Square Farmers Market is located from the North Park Square and Mill Street intersection to the railroad tracks, and that section of road will be closed from 11:30 am to 4:30 pm every Sunday afternoon. Sunday from noon to 3 pm, May through October. 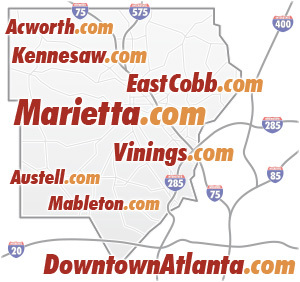 Free parking around the square and in the Cobb County parking decks. 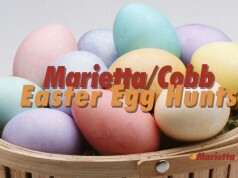 Take I-75, exit #265, 1.5 miles west on Route 120 Loop/North Marietta Parkway. Turn left onto Church Street to the Historic Marietta Square. 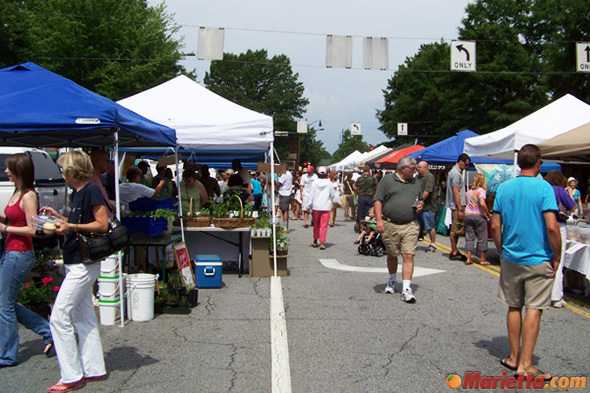 Welcome to the Marietta Square Farmers Market. 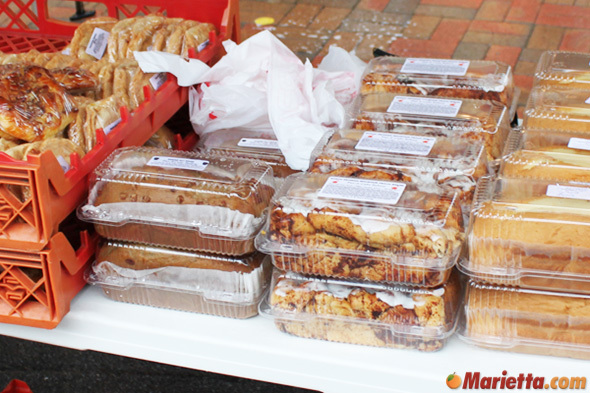 An average of 55 vendors participate each week. 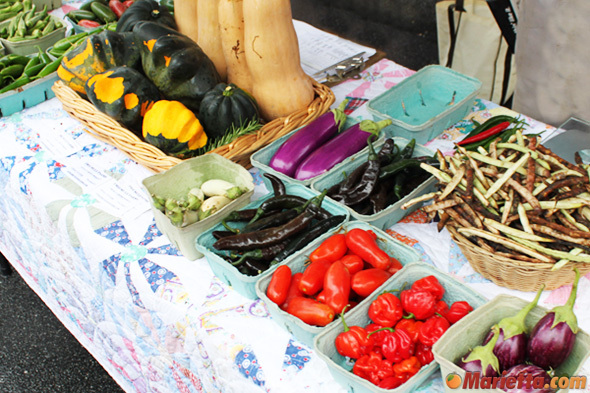 A variety of seasonal, fresh produce is available each week. 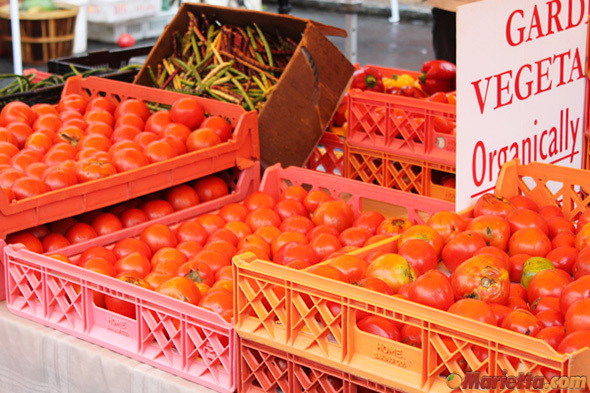 Local farmers sell homegrown tomatoes, fresh off the vine. Get them early before they sell out. Enjoy some some fresh baked bread. 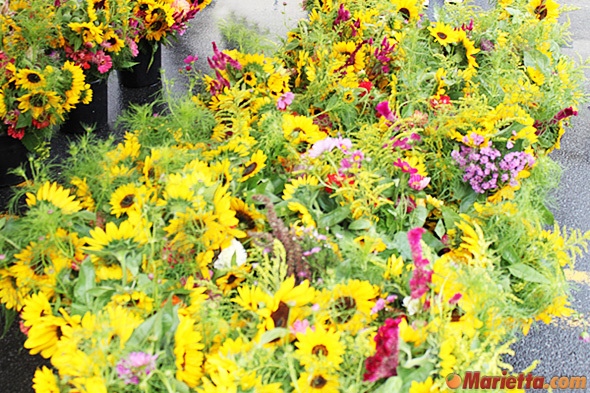 Take home some plants for your yard or fresh herbs for your next meal. 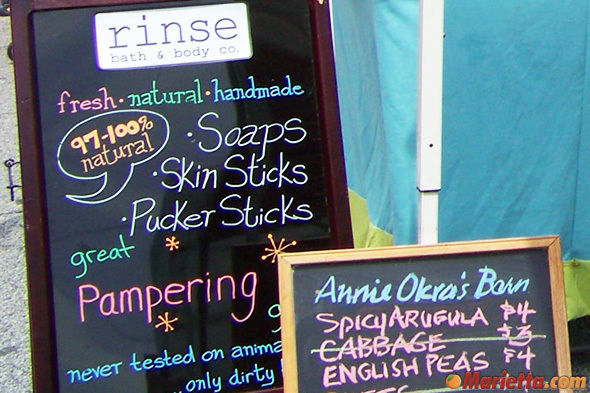 Soaps and other handmade goods are available. Fresh cut arrangements as well as potted flowers are available. 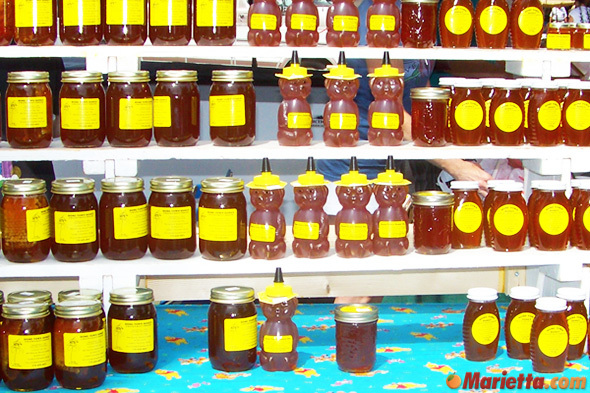 Local honey is for sale in a variety of sizes. 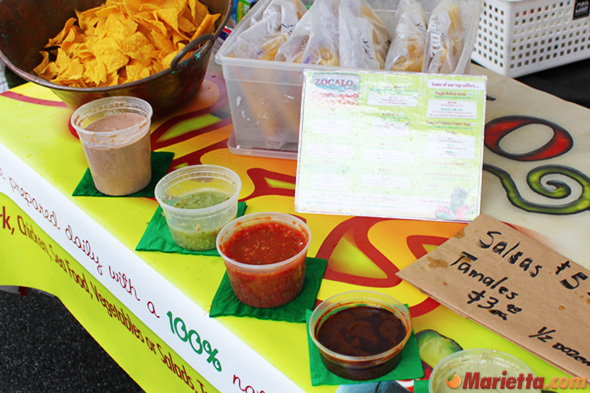 Sample a variety of fresh salsa from Zocalo. 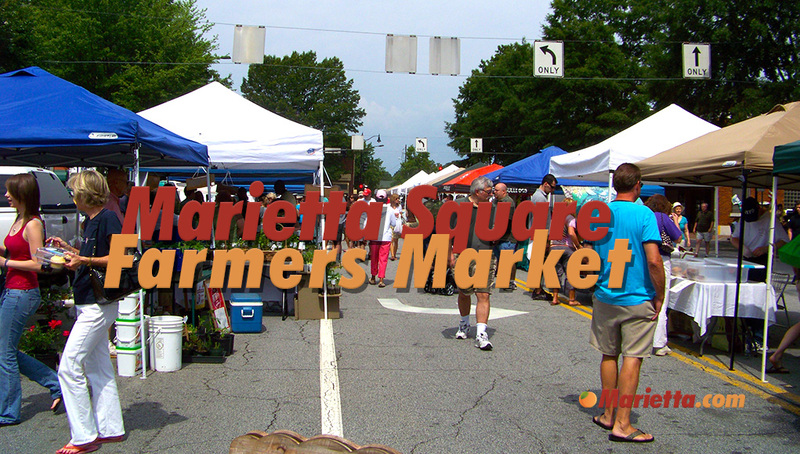 We would like to know how to become a vendor at the Marietta Farmer’s Market. 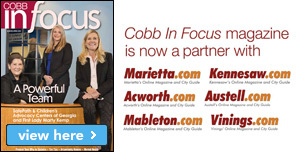 For more information regarding becoming a vendor, please call Johnny Fulmer at (770) 499-9393. Do they except EBC ? Food stamp card? Can you please give me the contact information for the vendor that sells honey at your market? Thanks. 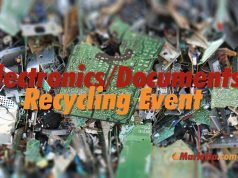 I would like to know how do I register for this event? Is anyone allowed to go down and play guitar, or do you have to sign up? I would like to buy tomatoes by the bushel. Do you have a list of vendors that would sell them by the bushel. Do you have vendors that sale things other than food and vegetables? I have an apparel business, athletic reflective apparel. 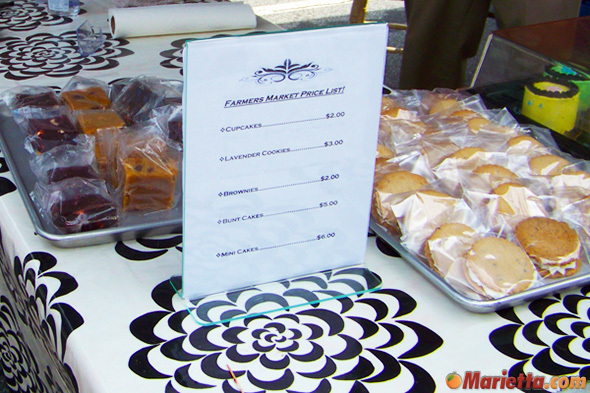 Did you find out if other vendors can sale there other than food? 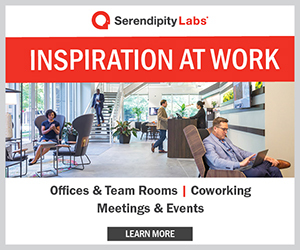 Do the vendors have to be food ? 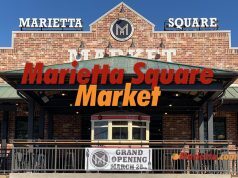 I sell jewelry and would love to at the marietta farmers market! Will definitely check this place out this Saturday. As a transplant from New York, the produce looks very fresh and I will update after my trip.